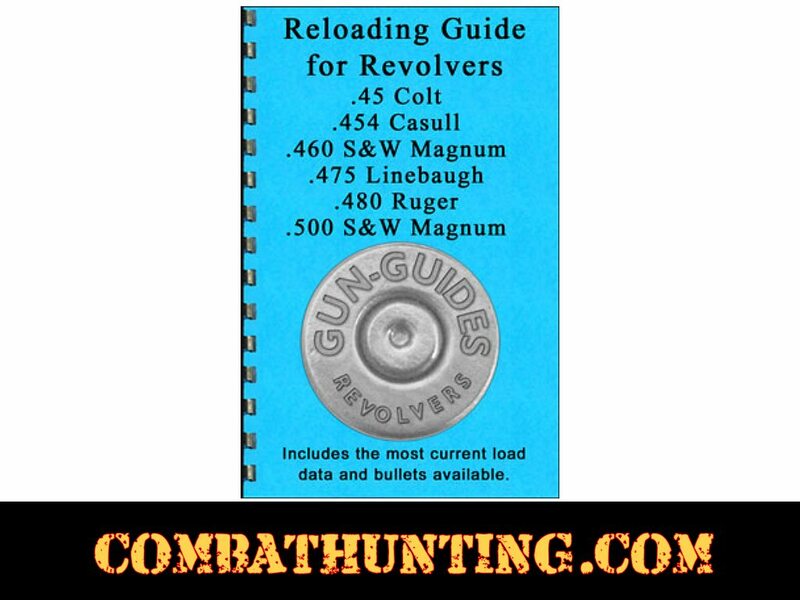 This Reloading Data Gun Guide Manual book for revolvers .45 Colt, .454 Casull, .460 S&W Magnum,.475 Linebaugh, 480 Ruger, .500 S&W Mag. 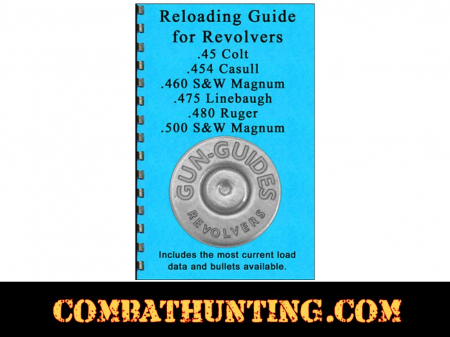 Manual is 58 Pages Six of the most popular calibers in one Gun Guides manual reloading book for beginners. Features 219 loads for .45 Colt (Including TC and Ruger loads, 102 loads for .454 Casull, 97 loads for .460 S&W Magnum, 49 loads for .475 Linebaugh, 69 loads for .480 Ruger, 93 loads for .500 S&W Magnum. Includes a list of each powder that is offered each caliber. Complete Case, Barrel Length, Trim Length, Twist Rate, and Primer used in each powder manufactures test data. Also includes pages focusing on quality control, primers, powders, burn rate chart, and a “loads per pound” chart. Manual Easy to use Comb-binding lies open and flat on your work surface. Cardstock cover & Bright white 24# paper.